Press Release – Leading marine experts from the Caribbean and the UK are joining up this week at a three-day workshop aiming to support the sustainable growth of marine economies in the region. In the Caribbean region, Antigua and Barbuda, Belize, Dominica, Grenada, Guyana, Jamaica, Saint Lucia and Saint Vincent and the Grenadines are set to benefit from the Commonwealth Marine Economies (CME) programme workshop. The marine workshop, hosted by the British High Commission in Kingston Jamaica, is being attended by senior-level representatives from governments, regional agencies, external science agencies, academia and key donors. The initiative is part of the UK Government funded CME programme, and follows on from similar consultation events held in the Pacific and Indian Ocean regions. Discussions will focus on what and how shared expertise, collaboration and co-ordination with existing regional projects can best help achieve sustainable blue growth. Key themes to be addressed will include the opportunities and challenges Caribbean states face in developing their marine economies, including strengthening food security; enabling blue economies, safeguarding the marine environment; and supporting marine resilience. The CME Programme was announced by the United Kingdom Government at the 2015 Commonwealth Heads of Government Meeting (CHOGM) to provide technical support, services and expertise to Commonwealth Small Island Developing States (SIDS) and Coastal States in the Caribbean, Indian Ocean and Pacific. The aim of this support is to promote safe and sustainable economic growth and alleviate poverty by harnessing maritime resources, preserving marine environments and facilitating trade. “The marine environment in the Caribbean is uniquely rich in biodiversity, economic potential and cultural importance. With these opportunities, come immense challenges of poverty, environmental degradation and food security. The UK seeks to increase prosperity by helping harness maritime resources and preserve the marine environment. The Programme is being delivered on behalf of the UK Government by a partnership of world-leading UK government marine expertise: the United Kingdom Hydrographic Office (UKHO), the Centre for Environment, Fisheries and Aquaculture Science (Cefas) and the National Oceanography Centre (NOC). A region-wide project, involving Caribbean and UK climate change experts, has been under way since last April. The project aims to produce a Marine Climate Change Report Card – a regional evaluation of the impact of climate change on the marine environment. 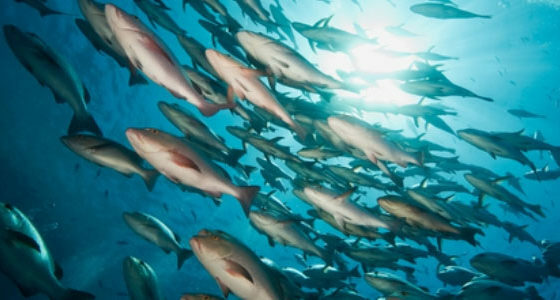 Other projects in the Eastern Caribbean include Sustainable Aquaculture and Fisheries in St Lucia, hydrographic surveying in St Vincent and Grenada and Radar Technology Tide Gauges and Training in St Lucia and elsewhere in the Eastern Caribbean. By caribbeanclimate in News on January 26, 2017 .